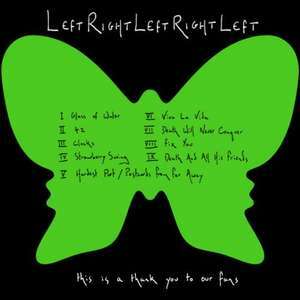 Left Right Left Right Left contains nine tracks and has also been available for download through their website. After submitting details, the zip file can be downloaded directly. It contains the mp3 files and front cover album art. 9. Death and all his Friends. I've got this as a CD when I went to see Coldplay live at Hampden Park in Sep 2009. Still haven't opened it. Might as well download this rather than opening the packaging (at some point!). Thanks Andy. Free music is always a winner, thanks for this. First time I've seen it. I imagine a Coldplay 'concert' would be the most depressing 2 hours of a persons life. Alexisonfire3 weeks, 4 days agoREPLY #12I imagine a Coldplay 'concert' … Alexisonfire3 weeks, 4 days agoREPLY #12I imagine a Coldplay 'concert' would be the most depressing 2 hours of a persons life.